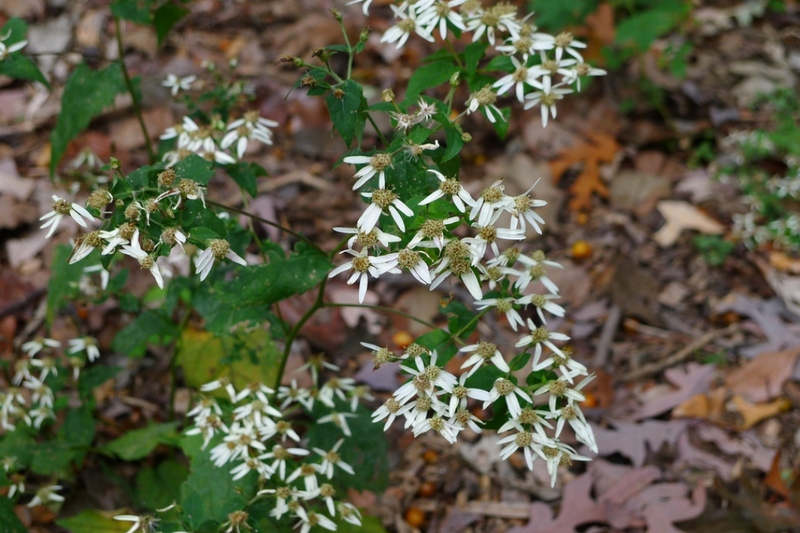 Wood Aster (Aster divaricatus): growing, planting, caring. 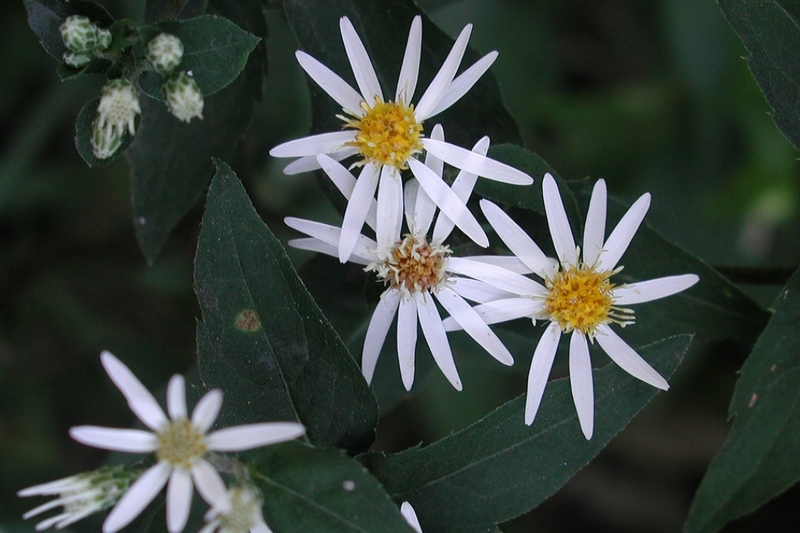 A Canadian, ground-covering species of Aster. 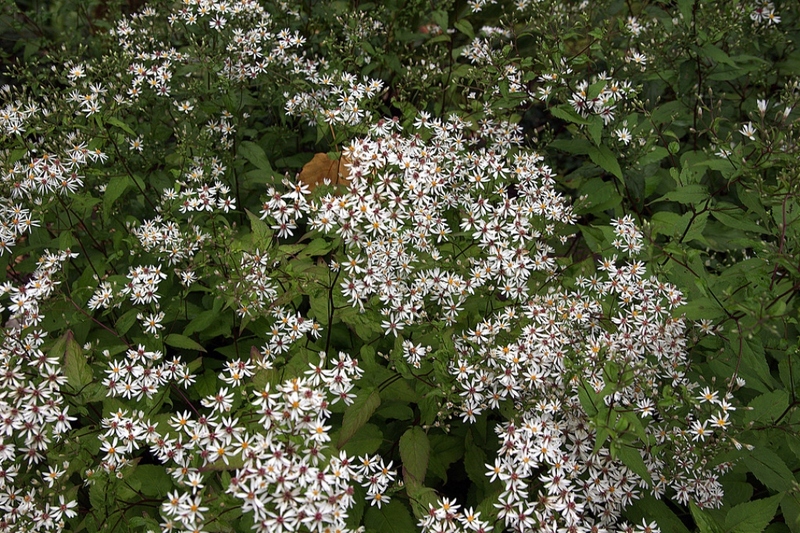 Full description for Aster divaricatus not yet available. Choose a place in semi shade - to ensure a beautiful flowering! - and cool for these asters. Prepare the soil by digging (to decompact without necessarily turning it, with a fork or a grelinette), scratching and raking. Plant at a spacing of 1/3 of adult height between plants. Thoroughly tamp the soil so as not to let air in contact with the roots, then water abundantly. Asters do not particularly fear drought. Water grownup plants until the water that you pour does not rush into the ground, and forms a small puddleto their fill, even if it is less frequent. 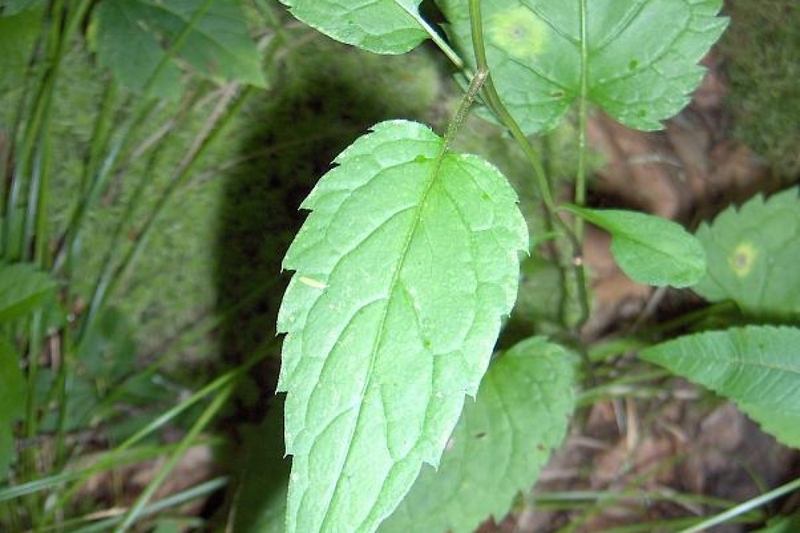 Unless otherwise specified, do not wet the foliage: the plants "drink" by their roots. Seedlings should be watered in fine rain. Keep them permanently moist to get germination. Cut the asters a few inches off the ground in November, before mulching them. Harvest the seeds if you'd like to propagate your plants! Multiply them by seeding in a pot under a cold frame in autumn or spring, after removing the caustic external flesh of the berries, then transplanting them in open soil after the last freeze. Train any asters taller than 80 cm in March, otherwise they may droop and sag after rain. A stake and a wire should do the job. Mulching these perennials will save you from watering and weeding and will even fertilize the soil a bit as it decomposes. When choosing, know that dry wood chips are the most inert, but they will last for a longer time. Fresh wood chips and leaves enrich the soil but must be changed often. Grass cuttings are to be used mixed with something else in a layer that is at most 1 cm thick. Mulch with a thickness of at least 5 cm to provide a good level of efficiency.